WestJet's new Ultra Low Cost Carrier 'Swoop' is open for business, and they're starting with introductory fares from Abbotsford to Edmonton, Alberta and Hamilton, Ontario for $43 CAD roundtrip including taxes. They are offering pretty much the same routes as Flair Air. From Abbotsford, they are flying non-stop to Hamilton, Ontario and Edmonton, Alberta. - look for the dates that are $14 on the way there, and $31 on the way home. - Abbotsford to Edmonton: still seeing them in all months ($46 CAD roundtrip). 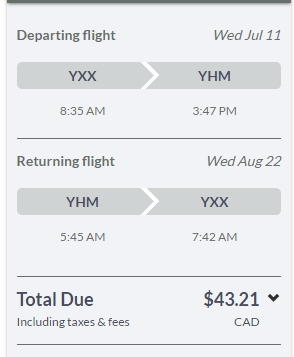 - Abbotsford to Hamilton: there are no more $43 roundtrip flights. The cheapest dates are now $107 on the way there, and $29 on the way home. The only return dates with $29 flights are in November and December. 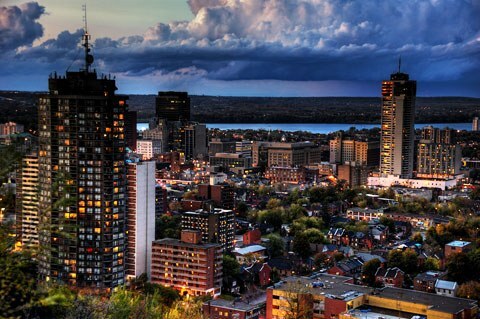 flight deals, ontario, canada, abbotsford, yxx, alberta, north america, edmonton, yeg, hamilton, yhm and swoop.